Sterling work by Almeria city saw the place become one of the two final candidates to host the finals of the Davis Cup (something to do with tennis, I’m told). However, it was not to be, and in the end it was announced this morning that the final of the Davis Cup will be held in Madrid. The match will take place between Spain & the Ukraine between the 13th-15th of Sept. This stunning trophy will not, alas, see Almeria. Hang on, it’s not a Dalek, it is? Madrid is hoping to use the tournament to showcase it’s abilities to host the 2020 Olympics – possibly a bit of a leap from one to the other? 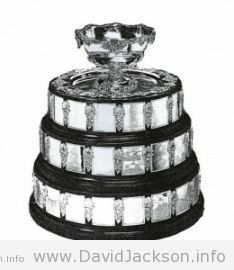 This entry was posted in Blog and tagged davis cup, madrid, madrid 2020, olympics 2020, tennis by David. Bookmark the permalink.